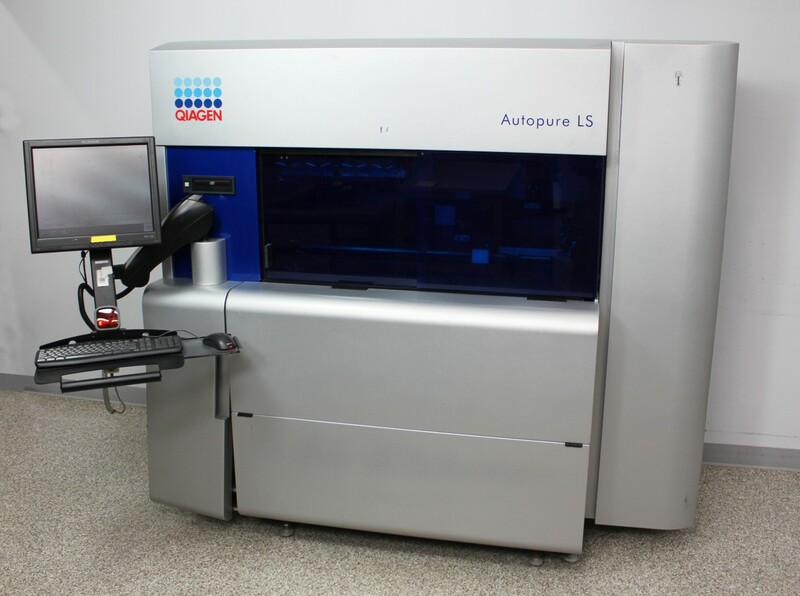 QIAGEN Autopure LS Automated Genomic DNA Purification LargeVolume Sample 9001340 . New Life Scientific, Inc.
consumables. For operation, consumables will need to be acquired separately. lower prices for individual components from the instruments we list for ‘Parts’. has some significant wear from use. sensor, vacuum, and pressure is reported. We replaced the overflow sensor with a new one, but that didn’t fix the issue. manual, and some useful accessories and consumables. Additional consumables will need to acquired separately for operation. Samples are processed in Autopure Qubes, specially designed 50 ml polypropylene tubes with quarter-turn caps and a square flange for precise positioning and handling. Autopure Qubes are fitted for bar code tracking.